Thank you for visiting my website. 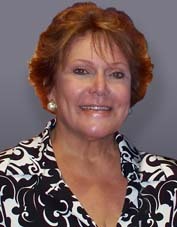 I hope you will be able to learn more about me personally and the many positions I have taken as a Trustee at the Office of Hawaiian Affairs (OHA). Here you will find many articles I have written on issues not only affecting Hawaiians, but the State and its residents in general. For the very latest information, please consider joining my email list and Facebook page using the sign-in forms in the right column (below on Smart Phones). If you have any questions, please phone me at (808) 594-0204.